The Escape of Lydia is a pre order bonus DLC for Sniper Ghost Warrior 3 that will put you in the shoes of a female sniper. This Story DLC mission is a prequel to the events of Sniper Ghost Warrior 3, where players will take the role of Lydia and play through a set of missions that will delve deeper into the Sniper Ghost Warrior 3 story line. 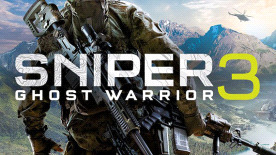 It has been confirmed by CI Games that the missions will be set before the main story campaign of Sniper Ghost Warrior 3 and will act as a sort of prequel to the game. No other information has been released about ‘The Escape Of Lydia’ as yet, but we are excited to see what the DLC will add to the overall plot of the game.